World Snooker Championship Final Day: Ronnie O'Sullivan seals his fourth world title by beating Ali Carter 18-11 in the final. Congratulations! O'Sullivan led Ali Carter by 10-7 overnight and he had a blinking start in the third session as well. The Rocket blasted to take all four frames before mid interval to lead Ali Carter by 14-7. 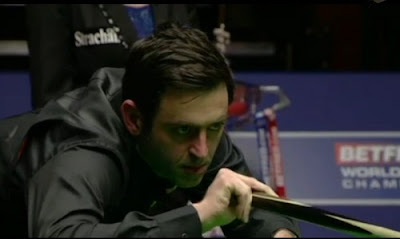 We were thinking if there would be night session as Ronnie only needed four more to lift up the trophy. The Captain finally won his first frame in the third session during frame 22. He added another two frames on the scoreboard with breaks of 105 and 53, looked forward to take another frame at the end of third session to reduce the deficit. Notwithstanding Carter tried hard, O'Sullivan won the last frame with efforts of 64 and 55 to go 15-10 ahead. He just required three more frames in the last session to crown. First frame of the night session went to Ronnie's hand before Carter put up a fight in the next to trail 11-16. Carter would love to drag the match into mid interval but The Rocket won the other two frames required to seal his fourth World Title. Ronnie Junior and Ronnie's mother Maria were delighted, joining the celebrations. Ronnie O'Sullivan replaces John Higgins to become the oldest player to win the World Championship, at age of 36 and five months. 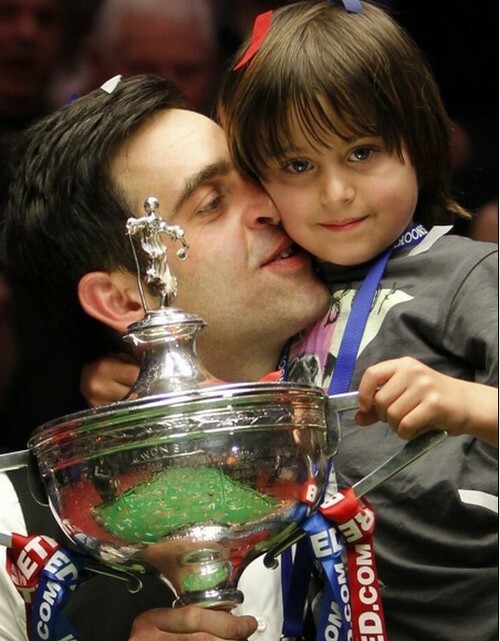 He now shares the same number of World Title (four) and 24 ranking titles with John Higgins. The Rocket has beaten three World Champions (Ebdon, Williams, Robertson) and two World Finalists (Stevens, Carter) on the road to conquer the Crucible for the fourth time. First of all congratulations to Ronnie. He played a great tournament with consistency in the past 17 days. I am happy to see him having better mentality compared to his last two appearances at the Crucible. He has got the right mind after winning the German Masters in February. I hope that he can keep this to play on the next year. Although Carter lost to O'Sullivan again in the final after 2008, his journey to get to the final is good enough for the man who has been struggling with Crohn's disease in the past 12 months. 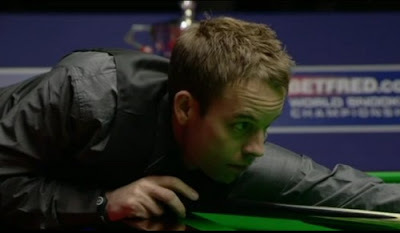 The moment that he beaten Judd Trump 13-12 from 9-12 down was huge. It was completely out of my expectation, indeed in a good way. Carter lost his top 16 place despite reaching the final, I truly believe he will get back into the elites very soon.